This is the second of a three-part design series and this time we will be focusing on the healthcare industry. Following discussion with our healthcare experts we have detailed some of the emerging trends. We hope our predictions will provide you with some insight when selecting furniture, allowing you to create a calm and safe environment for patients and employees. We attended The Mix Design Collective in Manchester where well-being was a dominant theme. The characteristics of a space can be designed to support a person’s health and comfort as well as balance their emotional state. These feelings of comfort are extremely important in a hospital environment and can make a patient’s stay dramatically more enjoyable. Modern, clean and neutral furniture choices should be selected to create a calming atmosphere. An important aspect of an individual’s well-being is feeling part of a community that will support them. Furniture can be strategically arranged to encourage people to engage with each other and start a conversation. This creates a sense of community and social connectivity which promotes well-being. Patients have reported dissatisfaction with the poor services and facilities available in hospitals. Medical practices are now looking to improve the patient experience. 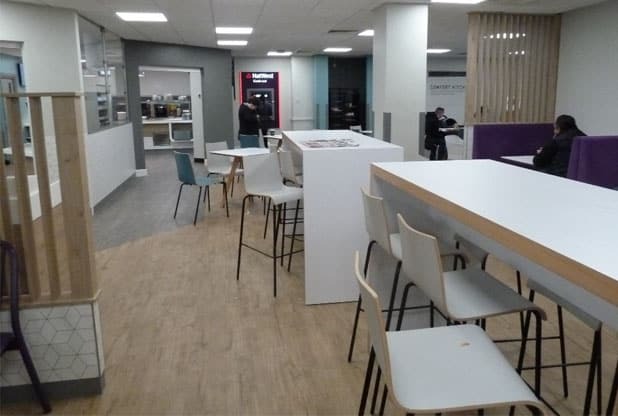 As a result, hospitals are beginning to create more welcoming spaces, with communal areas, developing canteens that look similar to cafes with a selection of more appealing food options. Courtyard spaces are also used to create play areas for children with further seating outside. Large windows open up interiors and make them more welcoming by increasing natural light, creating a less clinical feel. 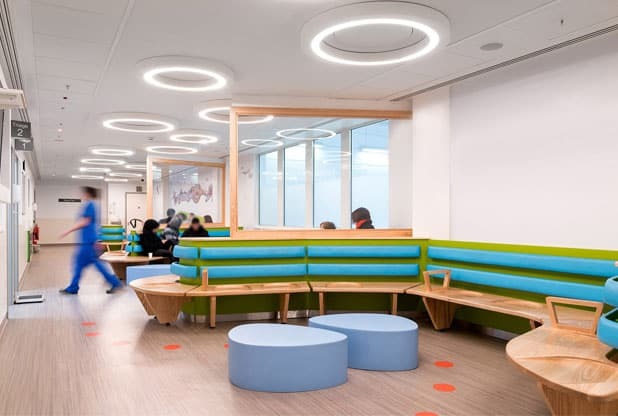 Hospitals use these breakout spaces to provide patients and visitors with an important sense of normality. 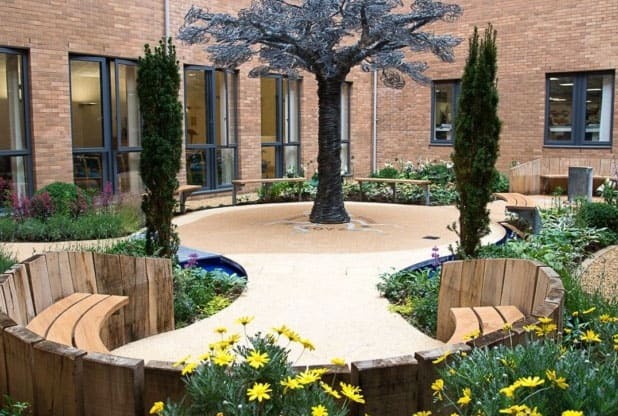 We believe this trend will continue as hospitals become more considerate of patients’ wellbeing and the effect their environment can have on the healing process. With an ageing population and higher demands placed on hospitals modular buildings provide versatility. 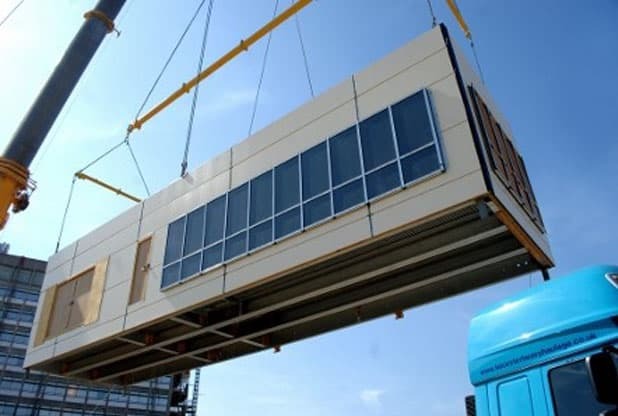 Modular buildings are an extremely popular solution for hospitals looking for flexibility. They are also cost efficient, faster to install and cause far less disruption. Buildings can be put together offsite and delivered to site fully equipped. This provides significant saving on labour costs. All these benefits suggest that modular buildings will continue to be an important solution for the NHS. 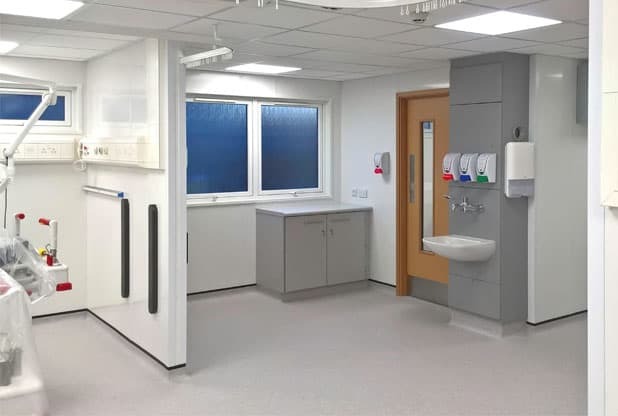 As technology continues to advance the trend will be for more technical coatings with antimicrobial finishes for the healthcare environment, to help protect against the spread of infection. Metals such as copper and silver provide a naturally antimicrobial finish and offer a relatively sustainable solution. We, therefore, predict they will become more widely used by medical practices. With such a rapid increase in drug-resistant organisms, now more than ever disinfecting and sufficiently cleaning hospital furniture is extremely important. Worktops should be non-porous solid surfaces with clean lines and rounded corners. This will reduce dust collection and prevent bacteria build up. Healthcare furniture also needs to be designed and manufactured to be extremely durable and have the ability to withstand regular bleach cleans without eroding the surface of the furniture. This is paramount to the safety of staff and patients. Keep an eye out for part three, coming soon, where we will focus on furniture design trends for research laboratories. We hope you have found this blog useful and if you would like any more information from our healthcare experts please do not hesitate to call us on 0161 998 9726 or email us at sales@klicktechnology.co.uk.